The Durst Organization engaged Mascioni & Behrmann to incorporate healthcare design requirements in a new multi-use development, in collaboration with the Core & Shell architects and engineers. 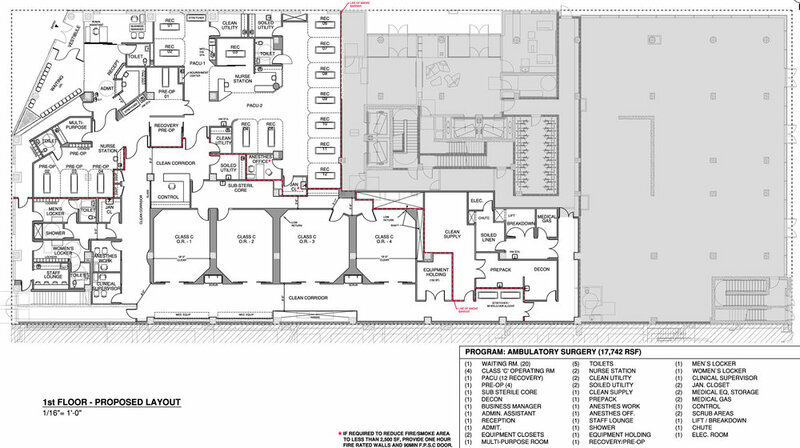 The M&B design team developed conceptual programmatic studies for over 80,000 RSF of medical space and completed schema c test-fits for various potential healthcare uses. The foresight of this approach allowed the team to implement a flexible infrastructure design that would readily support a variety of healthcare types, including NY State DoH Article 28 Compliance for the proposed healthcare uses.